We Best Scientific Co. engaged in manufacturing and exporting a matchless range of Nodal Slide Assembly to our prestigious customers On double rod optical bench of 1½ mt. 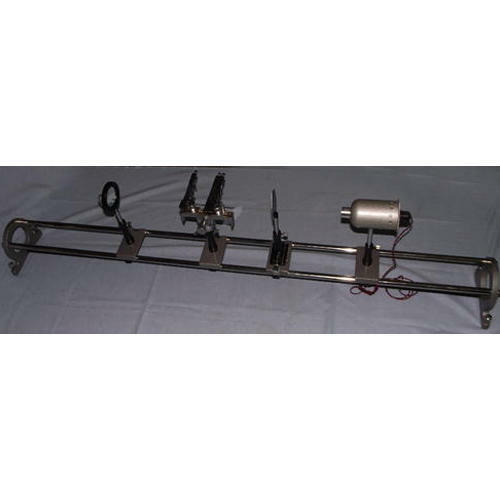 with accessories provided are Nodal slide unit with linear & circular graduation, one cross slit screen.One tiltable mirror and source of light. We “Best Scientific Co” have gained success in the market by manufacturing a remarkable gamut of Laboratory Refractometer And Polarimeter, Cement Testing Equipment, Concrete Testing Equipment, etc. We are a well-known and reliable company that is incorporated in the year 2010 at Ambala (Haryana, India). Our offered products are manufactured in compliance with the pre-defined industry norms and tested to ensure their flawlessness. We are a Sole Proprietorship firm that is managed under the supervision of “Mr. Love Kumar Pundir” (Proprietor), and have gained huge clientele.